Nokia has told TechRadar that the decision not to stock the N9 in the UK was based on the fact it looks so similar to the Nokia Lumia 800. "It was a very deliberate choice [not to stock the N9 in the UK] and one a lot of people wrote about," said Savander. "When you see the two phones together, you can see it's basically the same design language and we wanted to make sure in the beginning there wasn't any confusion for the consumer over which is which." 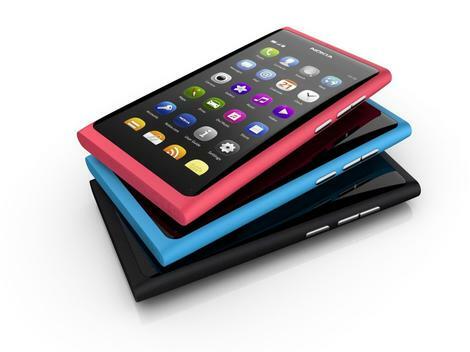 Savander also hinted that the door for the Nokia N9 might not be closed in the UK - although it seems more likely it will be other phones that land on our shores given the N9 has already been released in many territories and will be slightly outdated should it land in 2012. "Of course, over time we'll have to look how we position the N9 in markets where we are strong for Windows Phone. Russia will be the first where we have both types of phones out, by the end of the year, so we'll learn something from that," added Savander. The Nokia Lumia 800 will be launched in the UK in the third week of November, so stay tuned to see if the Finns can be the first to make Windows Phone a more successful operating system.